The amp buzzes with a crackling hum through the speakers. Much of the young crowd is already alert and attentive, waiting for the first notes to drop. With a casual confidence he lifts the guitar to his waist and, before you can blink, his fingers launch into an erratic frenzy over the juiced strings, somehow producing a harmonious and enlivening rhythm through a blast of resounding madness. Those who were still caught up in conversation suddenly have nothing more to say. With ears pricked to attention they turn to discover from where exactly the entrancing charge originated. Others are already hooting and whistling in encouragement. Though the crowd at Rainbow Cafe may be an intimate one, it is always an excited one. The restaurant’s flow of patrons—new and familiar—can never seem to resist the live music that’s showcased early every night. On each occasion, it is Luis de la Rosa who is invariably leading the show. The electric charges spill from de la Rosa’s guitar as his left hand hops and skips over the long, slender fretboard. His notes are like bolts tumbling and bouncing throughout the audience. Wicho, as fans and friends alike fondly refer to him, seduces his fans from the first electric strum. De la Rosa explains that his success comes from using music to connect. An important dynamic of that connecting energy also comes from the audience, he says. At just 22 years of age, the San Lucas, Sacatepéquez native lives the life of a burgeoning rock star, weaving his way in and out of five bands while also performing acts solo. In Antigua, de la Rosa’s music is inescapable. His impressive antics with the guitar have been featured in various locales throughout the colonial city such as Rainbow Cafe, Panza Verde, and even at the chapel ruins of San José Viejo, just to name a few. He has also played at private parties, weddings and other events. It is evident that people find de la Rosa’s music truly is electric, and it’s not just because he often plays the electric guitar, which is his passion. It seems as if the pitches he coaxes from his instrument really do evoke another dimension—a dimension where commanding the guitar looks as natural and easy as breathing. But, de la Rosa assures that achieving his level of expertise took time, dedication and drive. He certainly does more than copy. One of the five bands that de la Rosa plays with, La Raiz, is centered upon absolute improvisation. De la Rosa and the three other members of La Raiz play every Sunday as the house band at Rainbow Cafe, delighting fans with favorite covers, original music and on the spot jamming and improvisation. “For me, La Raiz is the band of the moment here in Antigua,” de la Rosa says, adding the band is working on its first album. In the meantime, de la Rosa is rubbing guitar necks with internationally successful musicians through his heavy metal band Thor, which in February opened for Shaman, a heavy metal group from Brazil. 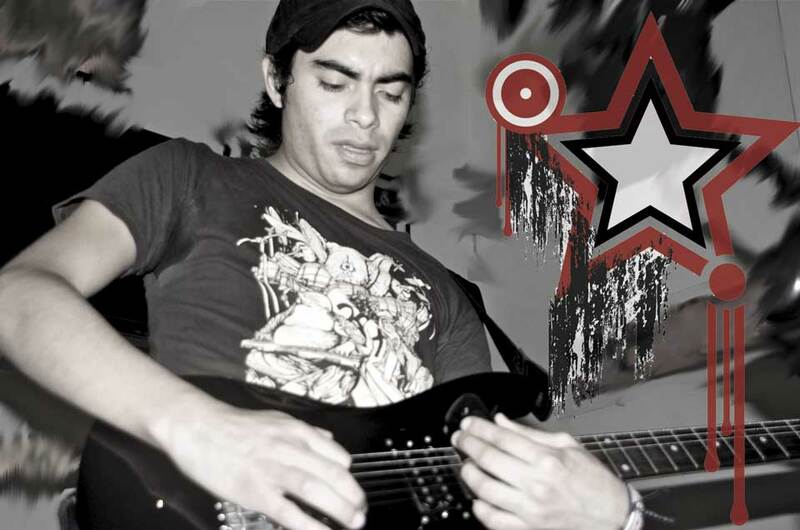 One of the most poignant experiences in de la Rosa’s music career though, occurred in June when Thor was among four groups that opened for the renowned heavy metal band Morbid Angel from the U.S.
Seeking to inspire national pride through music, de la Rosa has found a mentor—the well-established Guatemalan vocalist Giovanni Pinzón. Pinzón, who used to sing with Bohemia Suburbana, now sings in a band called La Cofradía de Sonido, with de la Rosa as one of the guitarists. 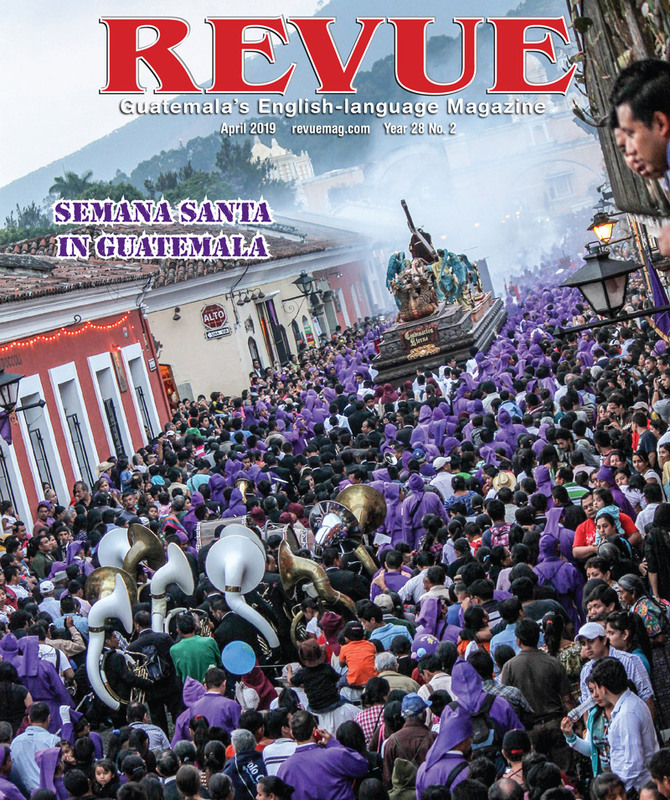 De la Rosa travels throughout Guatemala and Central America to perform alongside the national icon. Occasionally, de la Rosa can also be spotted reuniting with the first band he played with in La Antigua, Son de Antigua. With this band, admirers can catch him playing anything from Andean ballads to pop. Fans can also find him jamming with the likes of Mario Guerra, another artist whom de la Rosa describes as quite the talented musician. De la Rosa’s work, however, goes beyond music. In June, he helped organize La Noche de Pintura Musical (The Night of Musical Painting) hosted by La Raiz. The event featured improvised music from the band that was meant to inspire paintings created live by five local painters. He describes the one-of-a-kind event as a beautiful success, something he says La Raiz would eventually like to host every month. 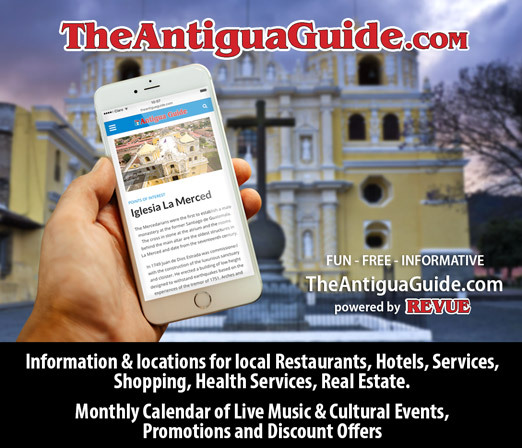 De la Rosa adds that he envisions the event creating a venue that generates more exposure for local musicians and painters because, he says, talent in Antigua is abundant. Furthermore, de la Rosa believes bigger projects can spring from La Noche de Pintura Musical. “I want to have a special place for people, children or young adults who don’t have the opportunity to own a guitar or who don’t have materials to paint,” de la Rosa says.